Pairing wines with sushi might sound strange at first, but as a group of foodies experienced firsthand at the end of last year, the two make quite a pair. Last year? Yeah I'm backlogged. Workin on it! 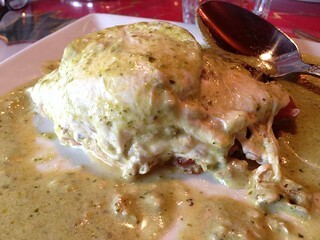 Anyway, Fooddigger has been bringing foodbloggers and foodies around town together on many occasions last year. For their last dinner of the year, KevinEats, Tangbro, inomthings, FoodGPS, sinosoul, and I joined part of the Fooddigger family at Shibucho for a night of great sushi, and great vintage wines. Now, the good thing about posting late is that I get 'cheat sheets' from the likes of Kevin who takes detailed notes, especially for all the wines that I can't keep track of! and inomthings who already did the background on some of the fishies we had that night. The wines for the occasion were actually brought in by the wine collectors among us (not I), including the Fooddigger people and Kevin. Here are the red wine lineup. Oh and when I say "vintage" wines I wasn't kidding. The youngest wine was a 1989, but everything else was older than me with the oldest being a couple 1975 wines. We toasted the started of the night with a 1978 Dom Perignon, courtesy of Kevin and Tangbro. Light, crisp, and sweet. 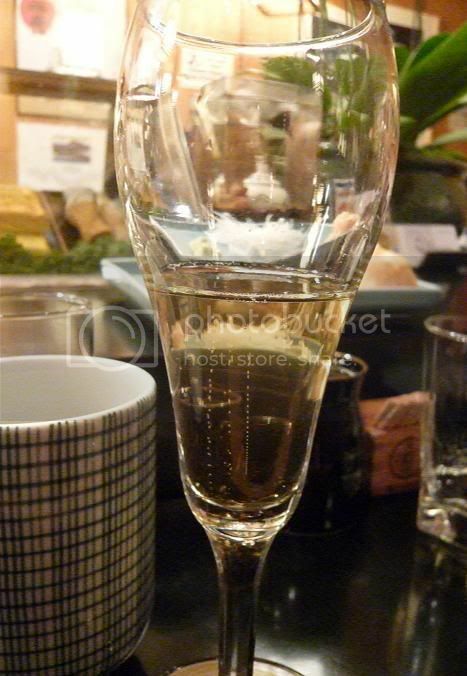 I wasn't a big champagne fan prior to this one glass. 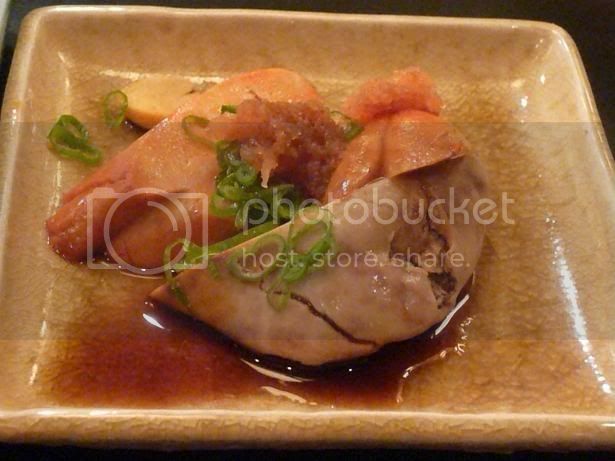 Foodwise, We started with some ankimo in ponzu sauce. This was one of the best ankimos I've had yet, the texture being smoother than most. This actually went quite well with the champagne and apparently even better with the red wine we had next, the 1982 Chateau Pavie-Decesse. Light, and sweet. The marinade was apparently white miso (thx inomthings) which explains the sweet but mild and not overbearing taste. 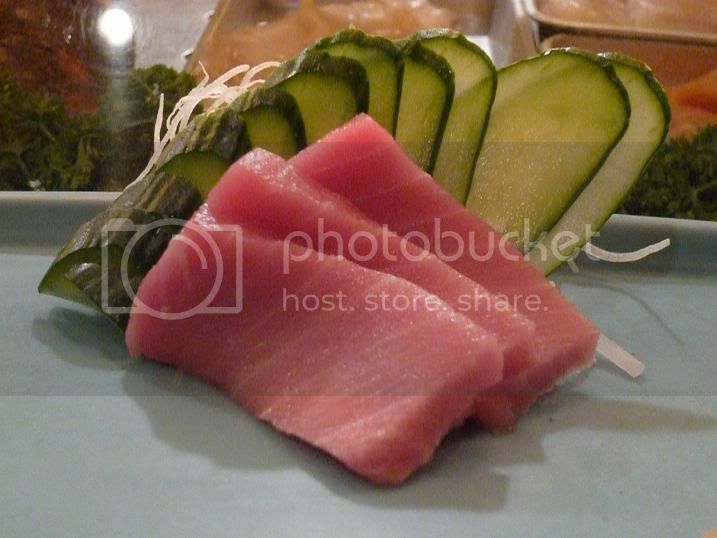 Next we had bincho maguro/albacore salad in ponzu sauce. Nicely prepared as the ponzu draws out the flavor of the albacore but the lettuce and tomatoes helped cut the acidity of ponzu which I normally don't like too much. The chutoro is not the fattiest cut, but it's very fresh and still had a nice fattiness to it. 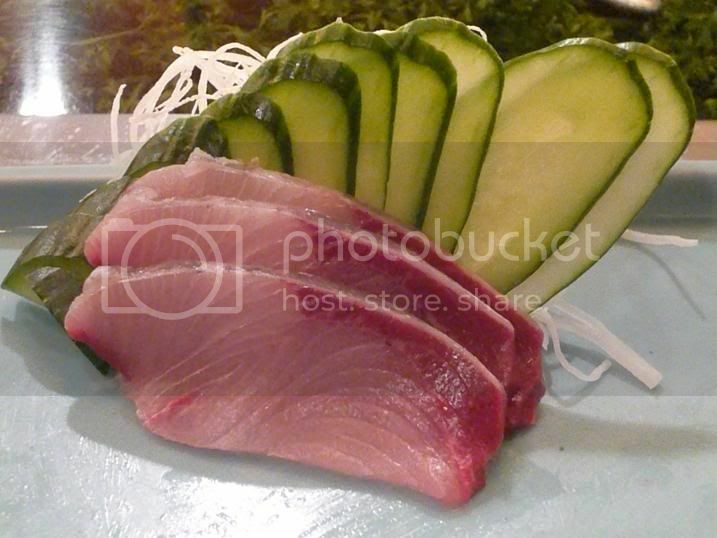 The toro, along with the other tuna, works quite well with the red wine. 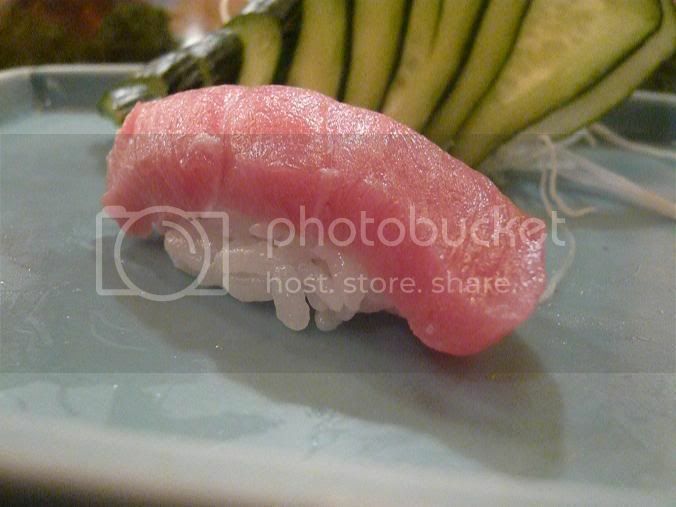 Buri is "old" yellowtail (yellowtail goes through 3 periods in their life cycle and are called kanpachi, hamachi, and buri, respectively). I don't think I really enjoyed buri before this, but apparently buri is fattiest during the winter, i.e. at the time I ate this, so it makes sense that I like this one better than previous ones. 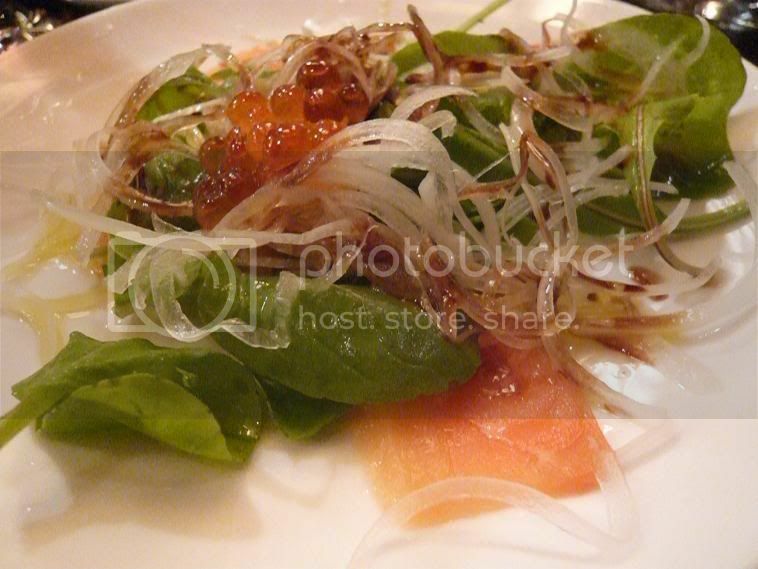 Salmon salad with onions, arugula, and salmon roe, with olive oil and balsamic vinegar. Then we had an ... eggplant parmesan. This was a surprising dish considering we're eating at a sushi restaurant but apparently Shige-san is known for occasionally serving western-inspired dishes. Possibly the best eggplant I have ever had. Unlike other 'eggplant parmesans' this one is lightly sauced, which makes it not overbearing (not saying that all others are) but it's subtly sweet and very delicious. 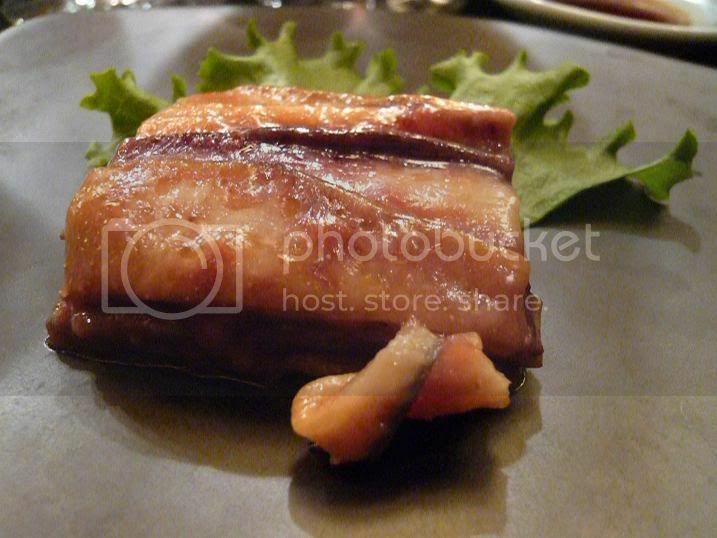 Shige-san also stated that Japanese eggplants are very different and much better than any other counterpart. 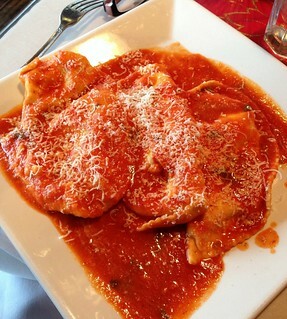 This eggplant parmesan was quite sweet, but light. Afterwards was a series of delicious, fresh sushi, for example this toro sushi. 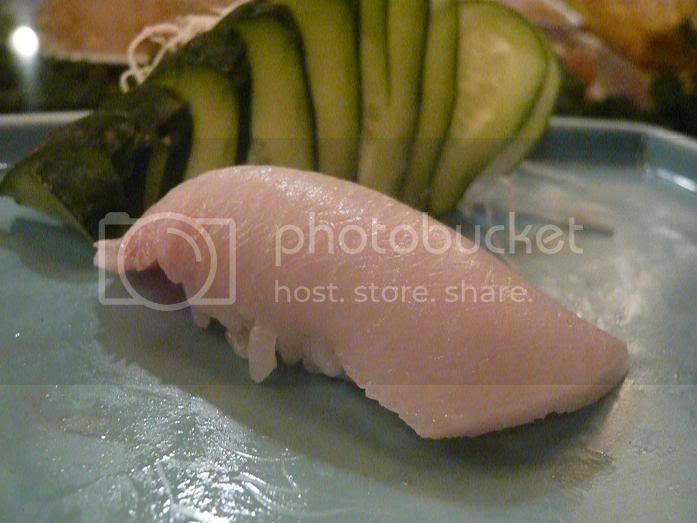 Probably even more than toro, I loooove my hamachi belleh! Smooth, fatty, delicious melt-in-your-mouth. Mmmm. More great sushi followed (hirame, kinmedai). 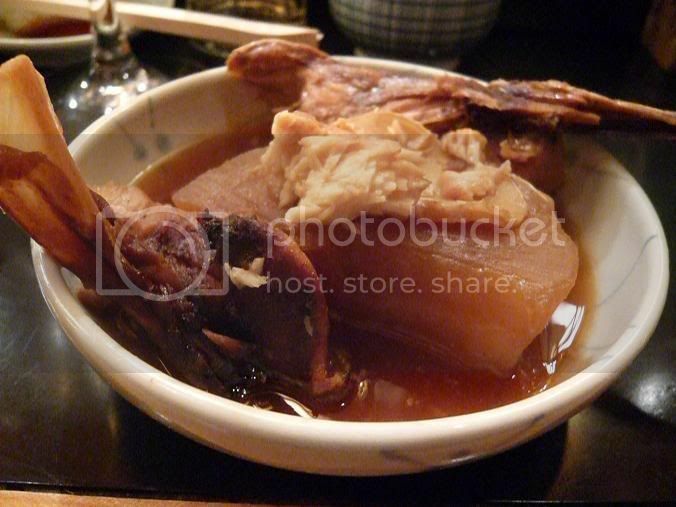 After all the sushi, we had a daikon stew with buri kama (collar). Given that this was in mid-December, this was such a perfect dish. Buri is apparently fattiest in the winter, and daikon is in season also during the winter months. 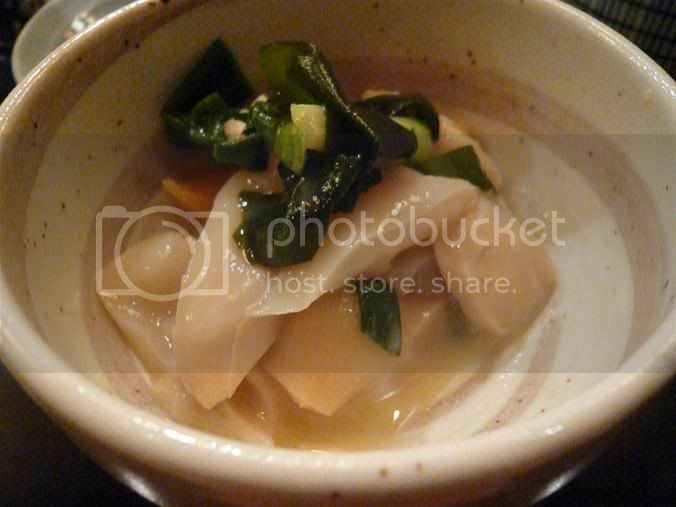 The daikon was sweet and so~ soft. I kept thinking back to this dish throughout the winter, especially when I was down with a cold. Sigh. 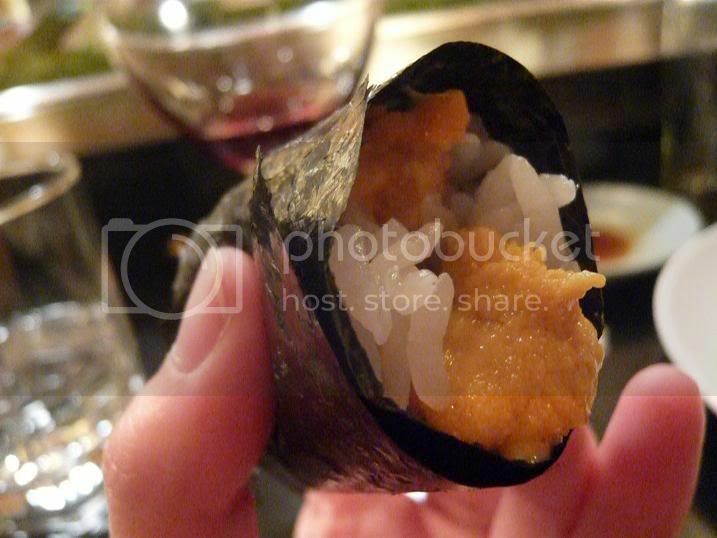 Some of us split some uni hand rolls, so we each got half a handroll. The uni was sweet and creamy. A very nice way to end the meal. Well, pre-desserts, that is. 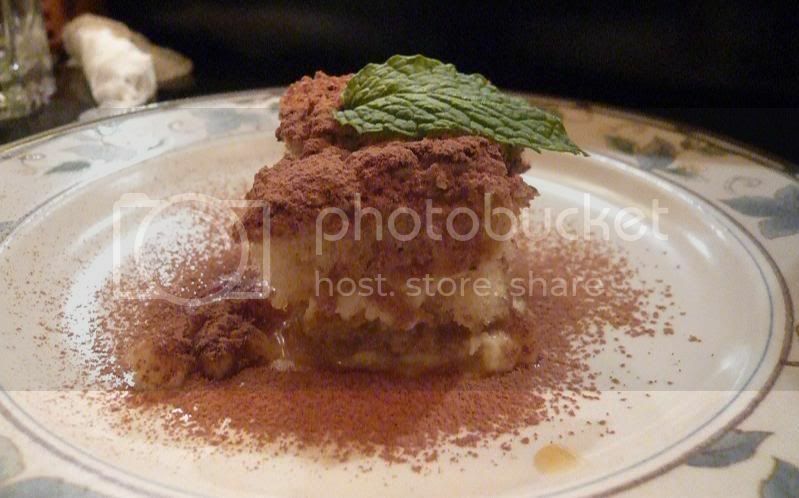 Instead of serving Japanese desserts or mochi ice cream or fresh fruits, Shige-san served Western-style desserts, and everyone got something different (like this tiramisu)- fun! 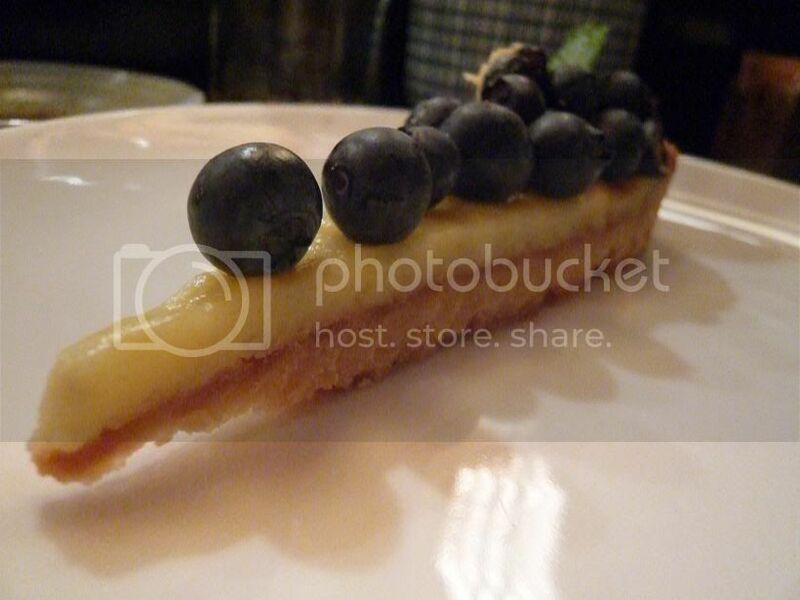 I was happy to get the blueberry tart since I love blueberries. A feast. A feast like no other, and I probably will not have another like this. Just the wines alone were such a privilege to drink. 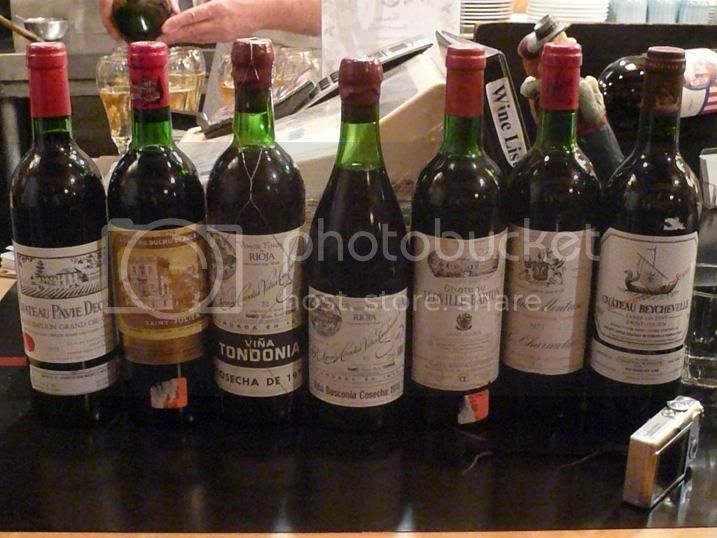 My favorite was the 1976 Rioja Bosconia (R. López de Heredia Viña Tondonia Rioja Viña Bosconia Gran Reserva ). And to top it all off with such great sashimi, sushi, and the amazing eggplant and daikon stew .... Mmmm. Not to mention sharing it all with such great foodie company. Twas a night to remember.